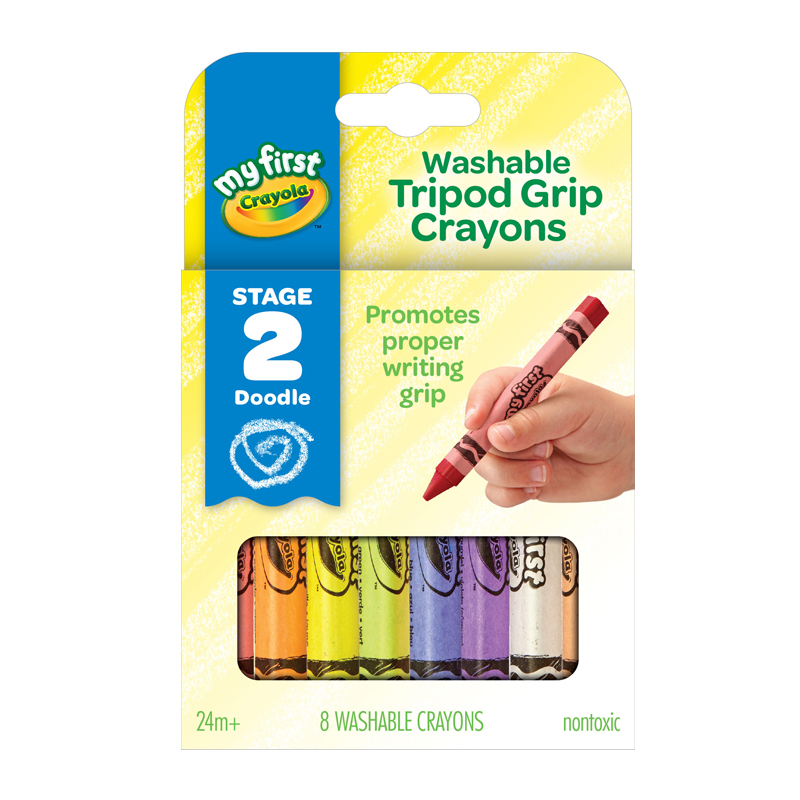 Designed especially for toddlers, these triangular crayons introduce children to the correct writing grip, giving them more control over their drawing and scribbling, helping them to develop motor skills. This shape also prevents rolling, so the crayons will stay where your child puts them. The wide selection of bright, fun colors encourages your child's creativity. My First Washable Easy-Grip Triangular Crayons wash off on machine washable clothing in their normal wash cycle. Certain stains may require more than one wash. It also washes off walls, carpet and furniture with warm water and a sponge because not everything your child makes is a keeper! Includes 8 different colors.